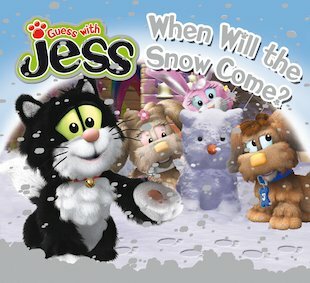 Guess With Jess: When Will the Snow Come? Jess and his friends want to build a snowcat – but first they need to have snow! How long… oh how long… will they have to wait? Perfect for reading aloud and sharing, this charming winter story is full of delightful details and things to talk about. Celebrate the first snowfall with this curious black-and-white cat!